America runs on Dunkin’, albeit gradually slower and slower. 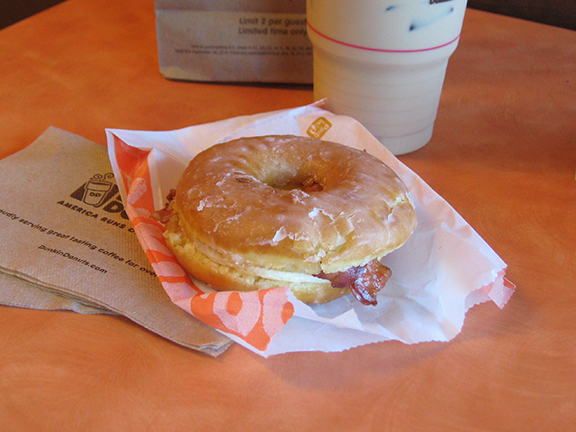 The Dunkin’ Donuts Glazed Donut Breakfast Sandwich is a glazed donut split in half and topped with bacon and a fried egg. It launches nationwide today -- National Donut Day, no less. America, how has it taken us this long to make this sandwich a reality?